$23 billion USD: Estimated worldwide losses in 2013 due to online troubles. 179,750: Estimated number of hours spent in 2013 to fix online troubles. $4.5 billion USD: Estimated worldwide losses in 2013 due to damage to professional reputations by online sources. 2/3 use public WiFi networks: Only 1/3 of those surveyed use secure WiFi networks. 2/3 do not limit what appears online: Only 36% of respondents said they took steps to limit what personal information appears about them online. Phishing attacks and identity theft: 15% of respondents were victims of phishing attacks and 9% said they were victims of identity theft in 2013. Using strong passwords and changing them frequently is a good place to start with securing your information online. Make sure you change your password often; a good rule of thumb is once every six months. Remembering your password can be tricky but if you use a place you love, a specific car, or a favorite restaurant, it can be easy. Then randomly substitute numbers for letters that look similar. For example, use ‘@” for the letter “a.” Also randomly use capital letters (e.g., Mod3l@F0rd). Another option is to use a random password generator and organizer like LastPass to create, organize, and store all of your online passwords. We couldn’t agree with Darren G. more! Only a VPN like PRIVATE WiFi can fully protect you when you access a public WiFi hotspot. Without one, all the data you send and receive is unsecure and can be easily intercepted by hackers. This means if you do online banking, access your e-mail or even pay bills on public WiFi, you can be exposing all of that personal information. But with a VPN, you are invisible! 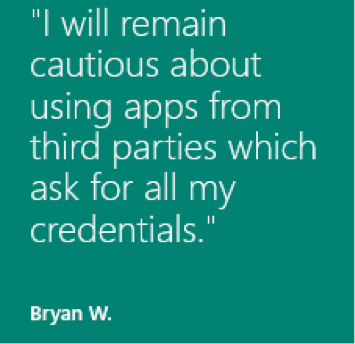 We applaud Microsoft for educating consumers on how they can stay safe online. 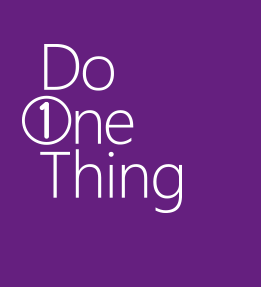 Ready to do one thing to stay safer online? Then head on over to the Safer Online website and take the pledge.